Contrary to arguments of finance ministers that external borrowings have little or no strong negative impacts on domestic economies, fresh report released at the ongoing 52nd Session of the Conference of African Ministers of Finance, Planning and Economic Development, in Marrakech, Kingdom of Morocco has shown rather a complicating scenario for the six largest economies in the continent. The economies include Nigeria, Egypt, South Africa, Morocco and Angola. 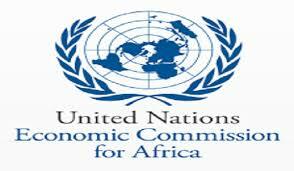 Otherwise, the Report by the Economic Commission for Africa (ECA), released at the ongoing 52nd Session of the Conference of African Ministers of Finance, Planning and Economic Development, in Marrakech, Kingdom of Morocco paints a distressing picture of the debt situation in Africa. According to the Report, public debt rose in Africa in 2017, reaching 59.1 per cent of GDP. The high and rising debt created debt vulnerabilities for many African countries. Within the year under review, most of the rise reflects increased external borrowing by middle-income countries, with five of the six largest economies on the continent accounting for more than half of public external borrowing in 2017. South Africa borrowed $176 billion externally, followed by Egypt at $82 billion, Morocco at $49 billion, Nigeria at $40 billion and Angola at $37 billion. The total debt stock was lower in some of the frontier markets than in middle-income countries, but the increase over the past few years was nonetheless considerable. For instance, Ethiopia’s external debt stock rose more than 250 per cent, from $7.3 billion in 2010 to $26.5 billion in 2017. Kenya’s pace of external debt accumulation was similar, with external debt stocks rising from $8.8 billion in 2010 to $26.4 billion in 2017 (nearly a 200 per cent rise). In an executive summary, the ECA report averred that the increase in external debt accumulation raises concerns about debt sustainability in many African countries, especially as external debt stocks have risen much faster than economic growth owing to rising interest rates in international capital markets. ECA in the report advised African economies to among other things, put in place strategic policies to address the need for resource mobilization and responsible governance that enables transparency and accountability, doing business as usual would not address the issues that have brought the continent to this route. The Report indicates that with the slowdown in economic growth and low commodity prices, Africa’s fiscal deficit also peaked at 11.3 per cent of GDP in 2015 before declining to 5.0 per cent in 2018. “As one of the instruments used by many African countries to partly finance their fiscal deficit, total public debt (general government gross debt) also increased, from 40 per cent of GDP in 2012 to 59 per cent in 2017. However, Africa’s average debt to GDP ratio conceals widely different experiences, in part reflecting different resource endowments. The median public debt increased most noticeably among oil-exporting countries. Public and publicly guaranteed debt soared from an average of just over 20 per cent of GDP in 2011–2013 to 57 per cent in 2017. A similar level of public indebtedness was recorded in non-resource-rich economies with a history of government borrowing,” ECA report added. The report regretted that rather than many African economies make the needed move towards knowledge economy to run away from debt pile up within the period by creating high level middle class via raising of youth entrepreneurs in startups, Africa became desperate and gasping for breath, countries on the continent, in spite of the abundant resources, including human, turned to what most of its leaders thought was the only way out – seek loans! With rising debt, the continent is now being suffocated and some countries are in distress with others facing the risks of debt distress. Besides, the report decried the snail speed in growing broadband penetration which is believed to drive economies of the future than still banking on resources economy of the analogue Africa.